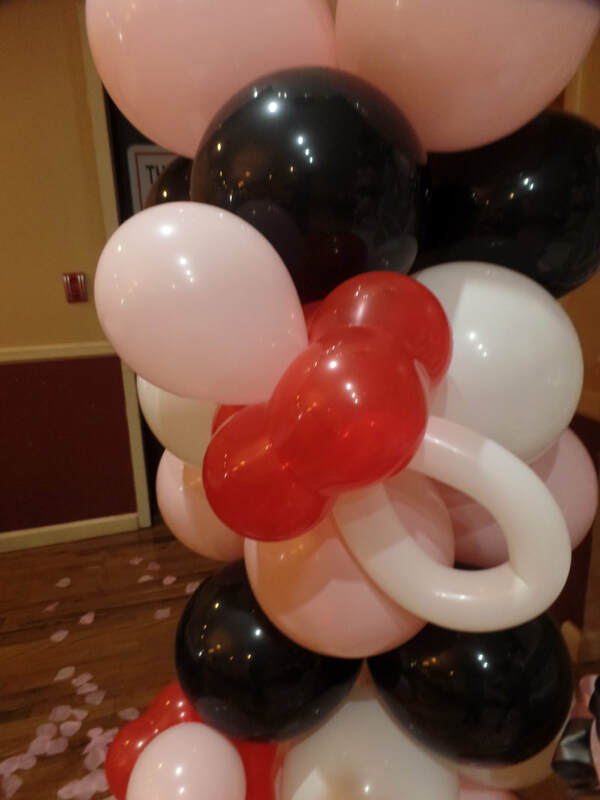 This balloon decoration is for a Minnie Mouse themed baby shower. 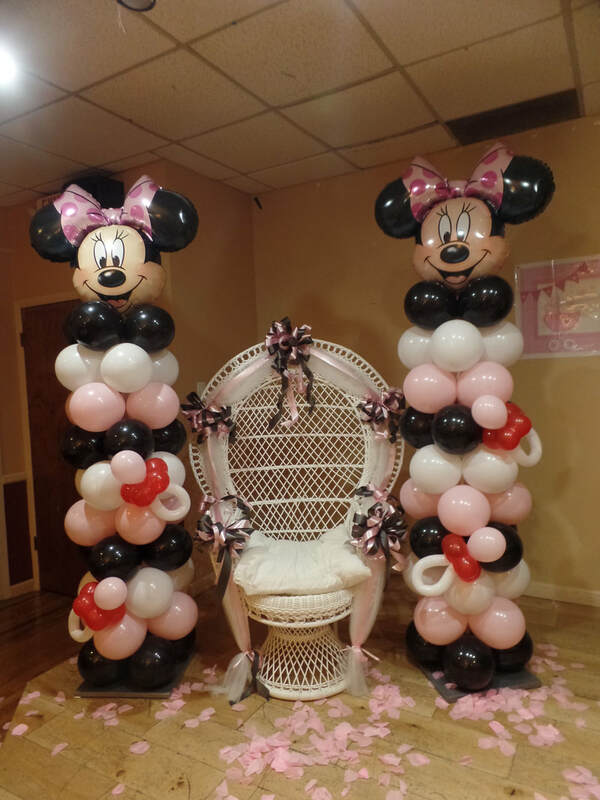 I created two columns with a Minnie Mouse topper. Notice the mini balloon pacifiers. So cute!!! !